“Lordy, lordy, look who’s forty!” The big 40—it’s a milestone for sure, signaling a time of transition from young adulthood to middle-age. Age 40 is a milestone when the risk of many health conditions increases. This makes the 40th birthday a perfect time for taking stock of your health. Today, Forty is considered the new twenty. So if you want to feel young and healthy now is a good time to take stock of the situation. Though there might be other things out there more important, do take a deep breath and feel good and healthy.. 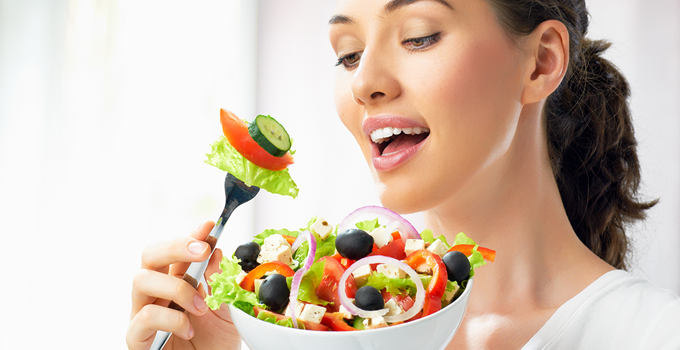 Adopting a healthy eating plan now is the best disease preventative measure that can be taken. There are foods which has to be avoided, foods to be included, at varying proportions, and hence making changes slowly but gradually. Applying some simple rules will assist our body to maintain hormonal balance and promote our long term well-being. Eat the right type of protein. Protein is an essential part of any healthy diet. Protein at this point in your life is going to help you maximize your current metabolic rate and also really help to prevent the lean muscle mass loss. Eating too much animal protein can cause calcium loss and lead to a decrease in bone density and osteoporosis. Instead of red meat and processed meat, such as hotdogs, bacon, and salami, opt for fish, skinless chicken and turkey, low-fat dairy, and plant-based protein sources, such as beans, nuts, seeds, peas, tofu. -Food additives such as MSG (mono sodium glutamate or better known as ajinomoto), Fructose, Glucose-Fructose-Syrup, Corn Syrup, Aspartame, Colourings, and E numbers.